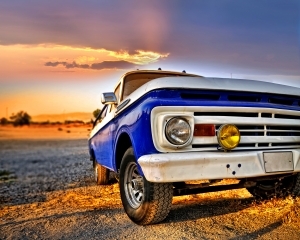 Where is the best place to go for truck maintenance in Petaluma? Northbay Automotive, of course! We do truck maintenance on Ford trucks, General Motors trucks, Jeeps, Honda trucks, Nissans, Subarus, Toyota trucks, and Volvo trucks. Let the experts help you with your automotive and light truck repair and maintenance needs. In business since 1989, Northbay Automotive has been maintaining & repairing cars, trucks, and fleet vehicles. We have our trained ASE technicians perform truck maintenance daily. Also we are a Napa Auto Care shop & California state Automobile Association (AAA) approved auto repair shop that specializes in truck maintenance. Plus, we are registered with the state of California Bureau of Automotive Repair for repair and smog. Conveniently located at 929 Petaluma Blvd. South, Petaluma, CA 94952, schedule an appointment for your truck’s maintenance today. Northbay Automotive can be contacted at [email protected]. Click here to view our map to our Petaluma facility.